I happen to have a hairy man in my house. As indiscreetly as possible, I suggested Mangroomer products needed his opinion knowing he made an excellent test subject for the company. The products Mangroomer sent my guy to review were The Essential Mangroomer Do-It-Yourself Electric Back Shaver, The Essential Nose & Ear Hair Trimmer, and The Essential Private Body Shaver. It took my guy some practice and angling when he started using the items after his shower before he got the knack. 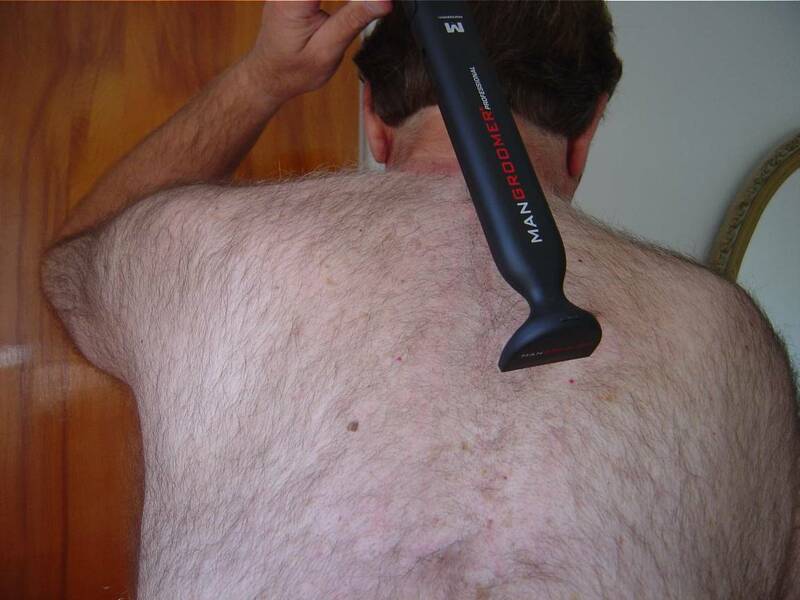 The back shaver was the product needed to whittle down some of his heavy growth on his chest and back. There is an online video that demonstrates techniques for using the back shaver. It has five different positions that lock into place and an extendable handle. My guy loved how this tool worked. He tried the private body shaver under his arms and along his arm. This product came with the five setting adjustable comb, the recharging power adaptor cord, and the premimum foil. 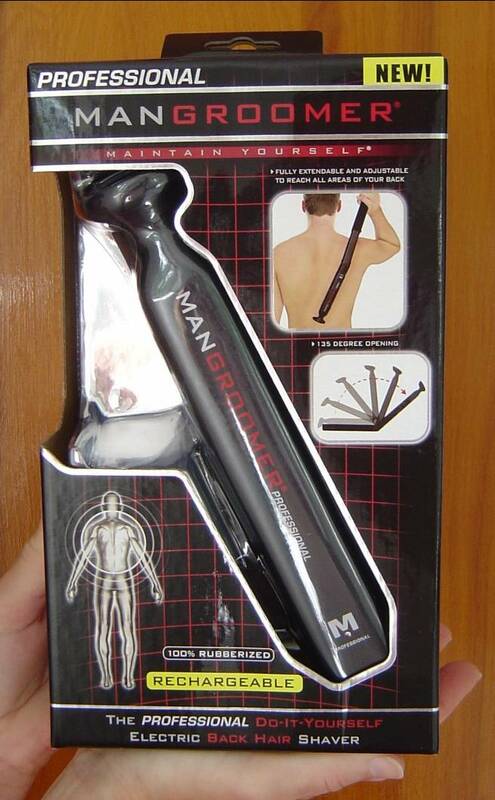 He also used this shaver on his belly and chest to smooth and get down to bare skin without the red guide. This is the private shaver. He liked how close of a shave he got. Lastly, he groomed with The Essential Nose & Ear Hair Trimmer and looked handsome again. This is the nose & ear hair timmer. 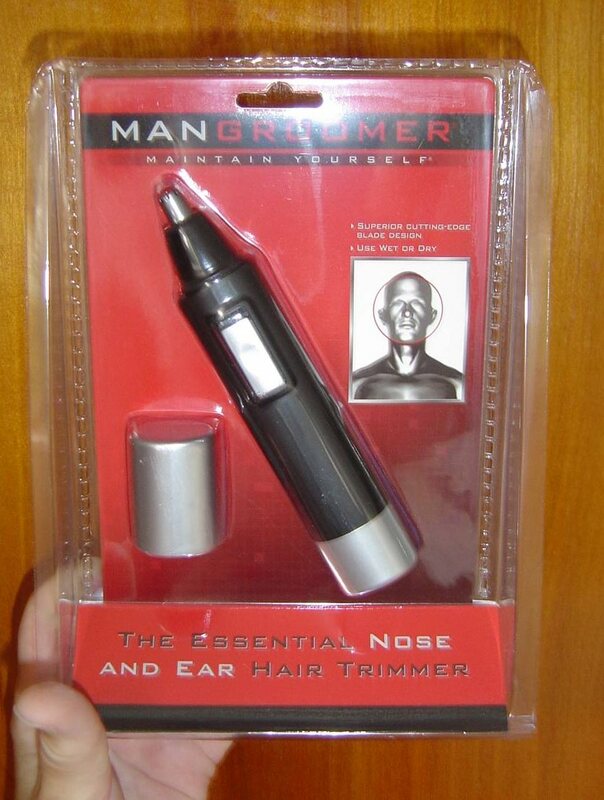 This is the Nose & Ear Hair Trimmer. By the time, my guy was finished using all the Mangroomer products he was comfortable and ready to model the new swimming trunks I bought him. Ladies, if you want to clean up your man, Mangroomer is the perfect place to start.